Superior Log Restorations provides professional log home restoration throughout the Fraser Valley area. If you own a log home that has been neglected, damaged or needs restoration for one reason or another, contact Eric and Bill Ristau by calling 778-344-9598. There are a lot of reasons why owning a log home is advantageous over owning a traditionally constructed home. Some of these benefits can be very attractive to homeowners, and may even convince you that owning a log home is the right choice for your family. 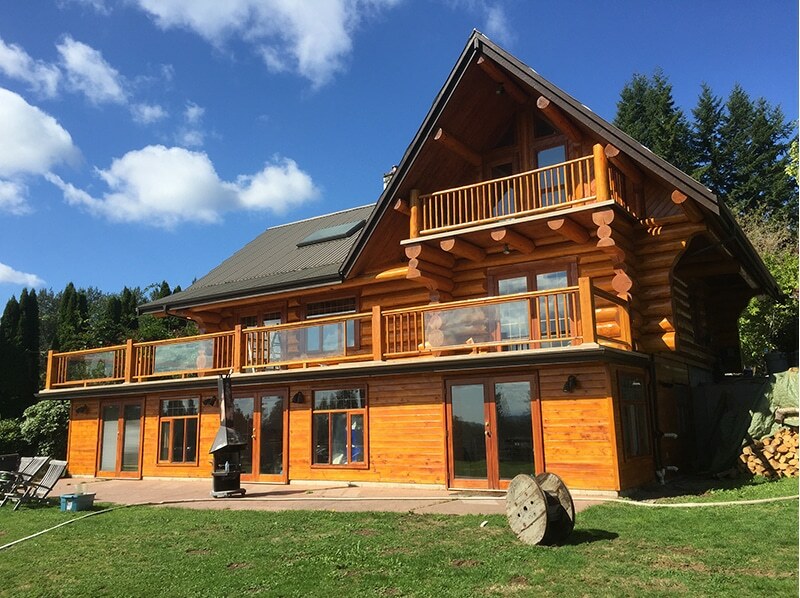 Log homes, just like any other type of home, require annual maintenance to ensure that the structure remains solid and the home remains in good repair. Failing to perform regular maintenance to a log home can lead to it falling into a state of ill repair that requires a professional to come in and make the necessary repairs. Superior Log Restorations offers expert log home restoration in the Fraser Valley area. If you would like a consultation and quote for the restoration of your log home, visit online at superiorlogrestorations.ca, or call 788-344-9598. The rustic appeal of living in a log home is one of its greatest advantages. While many people equate rustic with meaning ‘roughing it’, a log home can be every bit as technologically advanced as any traditional home. The aesthetic appeal is a great attraction to many people. While we are living in an age when almost everything we own is automated, very much hand-crafted workmanship still goes into the construction of a log cabin. As each log that goes into the construction is hand picked, it offers a unique quality and character to the home, unlike that of any other type of home on the market today. It is essential that log home owners understand what they are signing up for when they purchase or build a log home. While there is not, essentially, more maintenance involved in the ownership of a log home, some people assume that the simplicity of a log home negates the requirement of performing routine maintenance. Just like any other home, maintenance in its due time keeps repair costs down or eliminates them altogether. Negligence is the key factor leading up to necessary log home restoration. Fraser Valley residents can rest easy knowing that Superior Log Restorations is experienced and skilled to handle any size or scope of restoration that comes their way. You’ll find that the investment in a log home restoration is worth it, as you’ll be investing in a beautiful and functional home that can provide many generations of enjoyment and value to your family. Contact Eric and Bill Ristau at Superior Log Home Restorations by calling 778-344-9598. They’ll be happy to answer any question you may have with regard to your restoration project. You can also go online to superiorlogrestorations.ca where you can learn more about Bill and Eric Ristau, find out more about the experience that they bring to the table, and fill out a contact form to get communication started.